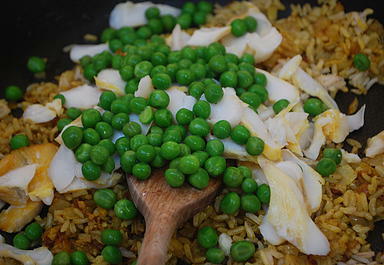 Our version of the ever popular kedgeree makes an ideal supper or delicious weekend breakfast. 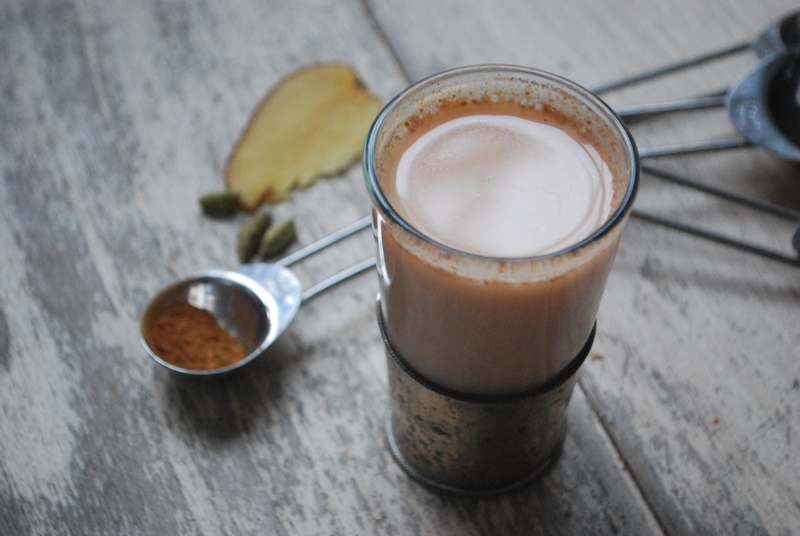 It can also be served cold and would make a welcome addition to any picnic. 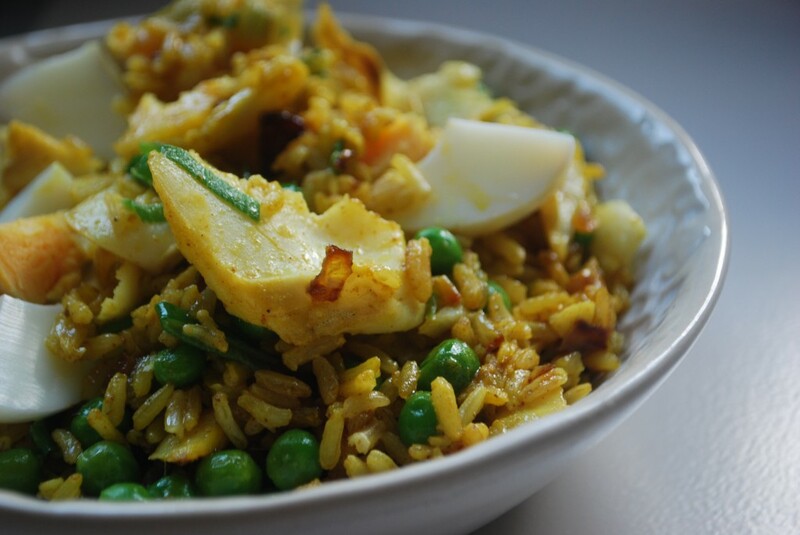 Super quick and easy to prepare, our kedgeree is packed full of protein from the haddock and egg and rich in fibre from the brown rice. Peas contains plenty of vitamin C, and turmeric is perhaps the mostly highly revered spice as it is full of valuable antioxidants and has valuable anti-inflammatory properties. 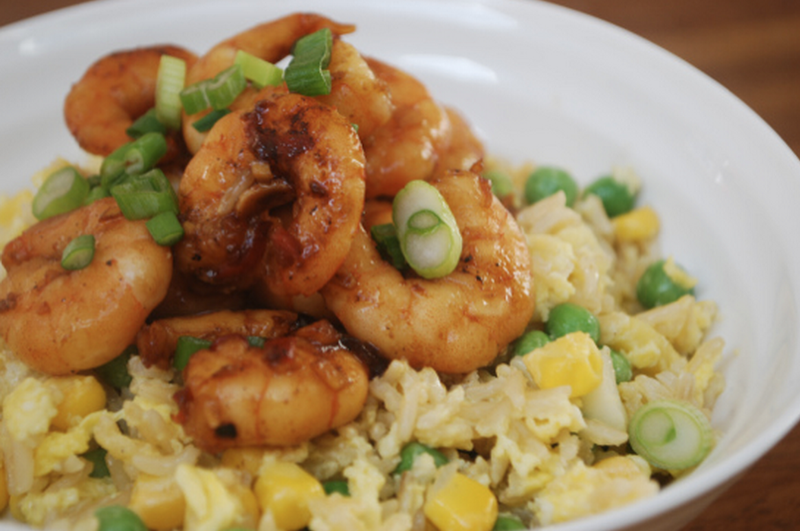 Start by cooking your rice as per packet instructions, or defrost if you have some in the freezer. Next, place the fillet of fish into a piece of tin foil. Add a splash of milk to help it cook/keep moist (approx 90ml). 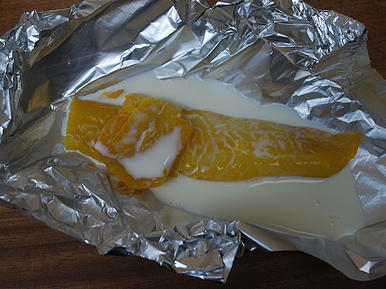 Scrunch the tin foil into a parcel around the fish and place into the oven for 10-15 minutes until cooked through. Keep the milk back for later. Place your egg into a pan of boiling water and cook for 4-5 minutes until soft boiled. Soften the chopped onion in a generous knob of butter or coconut oil and cook until soft. 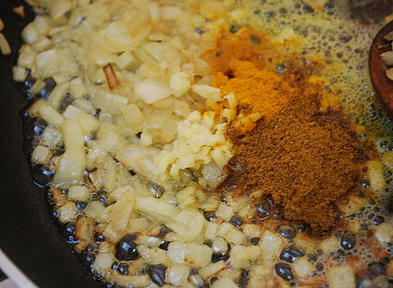 Add the grated ginger, turmeric and curry powder and cook for about a minute. Add the cooked rice, milk (which will now only be a few tablespoons), flaked cooked fish and defrosted peas. Bring all together. Sprinkle over the spring onions and heat through for the last time. Stir through the sliced egg for serving. Enjoy cold or hot. 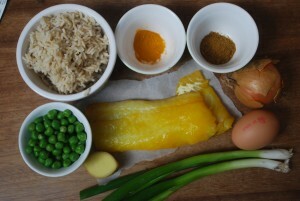 If possible, try to find undyed haddock (the haddock in the photo below image is dyed).